Companies today are being forced to reassess their business models to meet the changing customers and markets in which they operate. Today’s customers have nothing to do with those of yesterday. New technologies have changed their tastes, their needs and the ways that businesses connect with them. This requires companies to reinvent their business and marketing functions. In turn they must face up to a new market structure marked by two major challenges: new global competitors from emerging countries and the need to find new ways to create value for survival. 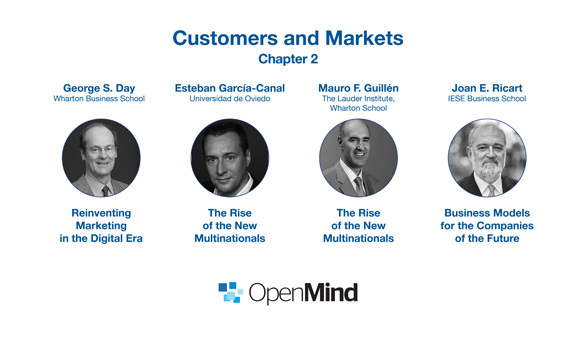 In the book “Reinventing the Company in the Digital Age”, authors George S. Day, Esteban García-Canal, Mauro F. Guillén, and Joan E. Ricart discuss in their respective articles how companies should redefine their business models to fit into this new reality.